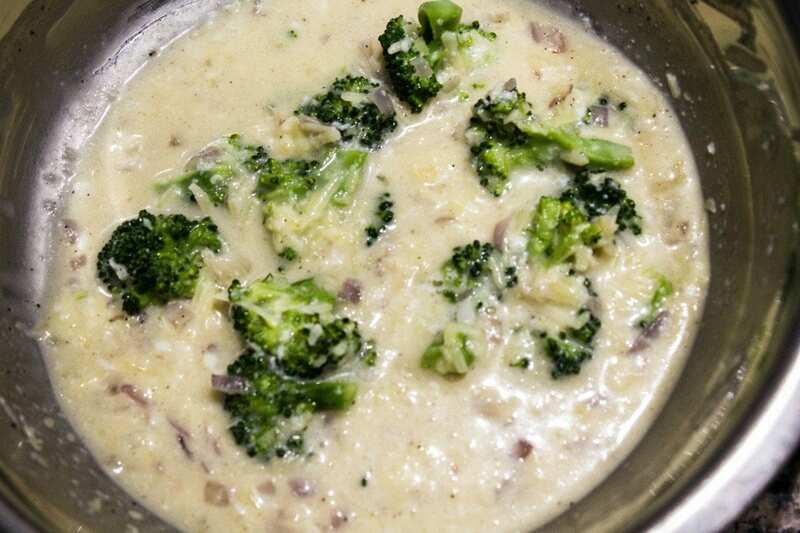 Broccoli quiche is such a simple and incredibly delicious recipe that I highly recommend you all to try making it at least once. 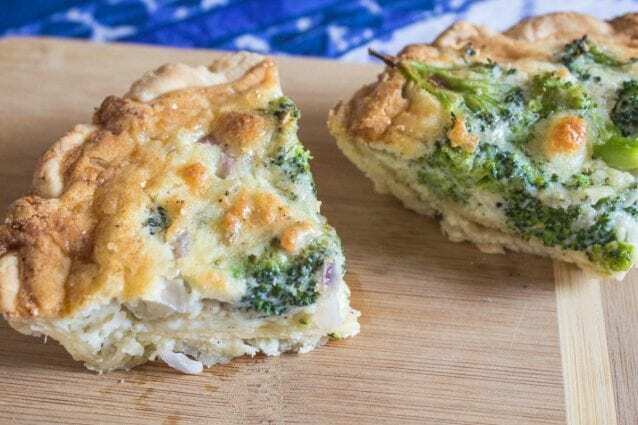 The flavors are so well balanced in this recipe that you will certainly stop visiting even the finest or the bakeries to purchase quiche and rather serve this to a majority of your guests. 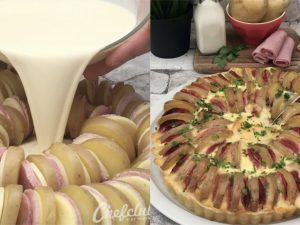 Do not believe me… just bake it! In a large bowl add the flour, salt, powdered sugar and mix everything well until evenly combined. Add the chilled butter to the flour mixture and rub it evenly in to the flour with your fingers so that the mixture is similar to that of fine bread crumbs. Pour the chilled water to the flour mixture and knead it in to a dough until the mixture just about comes together. Do not over knead the dough. Now, wrap the dough in to a plastic wrap and refrigerate it for 10 to 15 minutes. 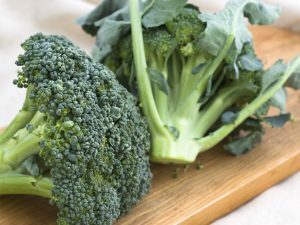 Cut the broccoli in to small florets and steam it in a double boiler or a microwave oven. 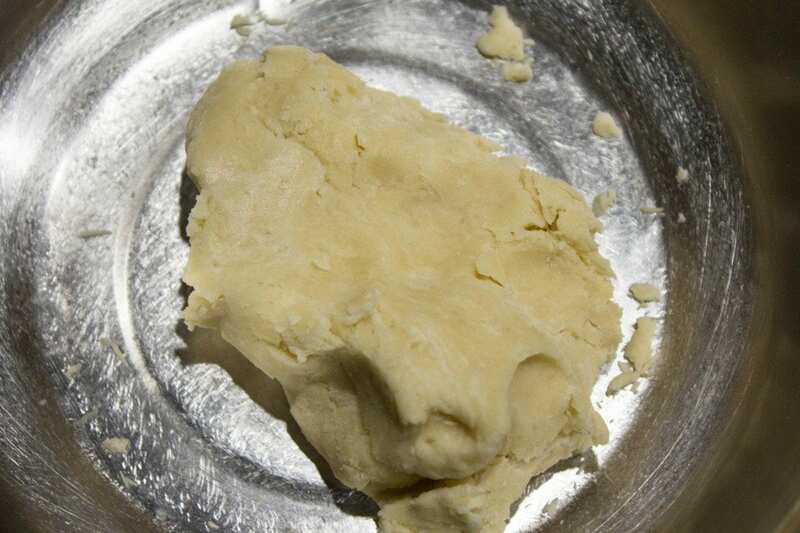 Preheat the oven to 190 degrees C. Lightly flour a clean and dry surface and roll the dough to about 1/4th of an inch thickness or large enough to fit in to the pie dish. Now, transfer the rolled dough in to the pie dish and design the edges as per your preference so that it is even in height. Add dried beans in to pie base and bake it for 15 to 20 minutes or until the pie crust is golden brown in color. 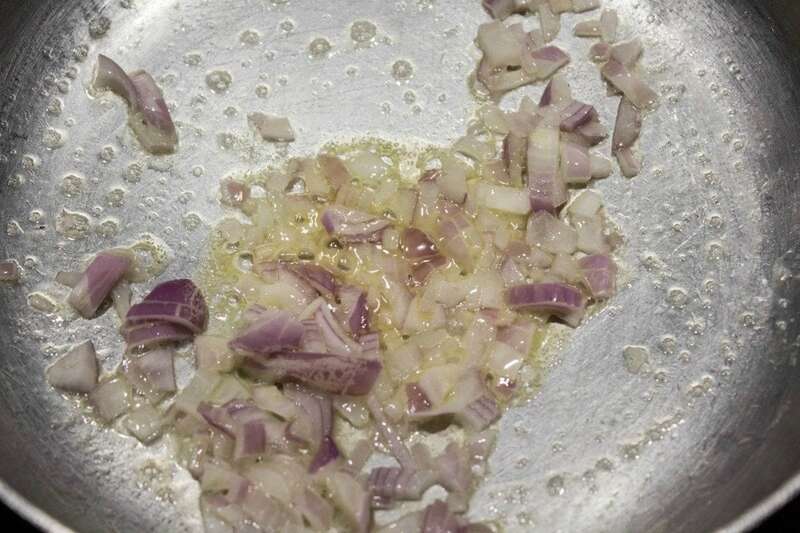 Meanwhile, melt the butter in a pan and sauté chopped onion in it until the onion is translucent in color. 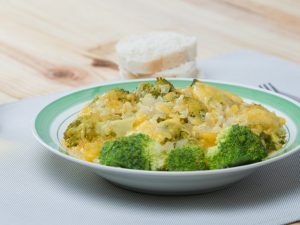 Whisk the eggs with heavy cream in a large bowl and add the sautéed onion, salt, black pepper powder, steamed broccoli, cheddar cheese and mix everything well. Pour the egg mixture in to the pie crust and bake the quiche again for another 15 to 20 minutes or until the eggs cook and quiche is golden brown on top. 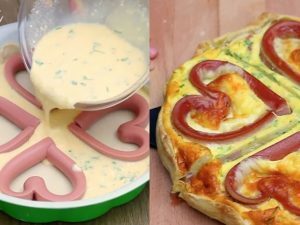 Slice, serve hot and enjoy! To make this recipe short, you may use market bought pie crust as well instead of preparing the pie crust yourself. 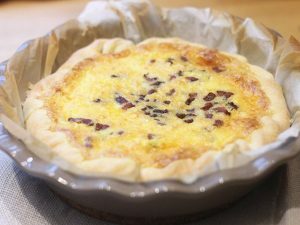 Maintain the baking temperature and you might need to keep a watch on the quiche in the final minutes of baking. Make sure that you carefully remove the egg shells while you break the egg. A wiser technique would be to break the egg in a separate bowl first and then use that broken egg for the recipe.